At the April Staff Senate meeting, a motion was made to rename the monthly Staff Senate Spirit Award in honor of our late colleague and friend, Meg Cullen-Brown. The Staff Senate unanimously voted in approval of such a change. A few weeks later, at the Staff Senate Recognition and Excellence Awards ceremony, Meg’s family members joined Staff Senators and guests as Mark Murphy read a proclamation officially declaring that beginning on June 1, 2018, the monthly spirit award will now be known as the “Meg Cullen-Brown Magis Award.” Each month, we can now express appreciation to those staff members that follow in Meg’s footsteps, inspiring and enriching our community through the Jesuit ideals of being men and women for others and Magis. We ask that you send in a nomination this month, and every month, to pay tribute to the Magis that you see amongst your colleagues, and that you keep Meg’s memory and her family in your thoughts and in your prayers. Tom will receive a certificate for $50 worth of complimentary food at our fabulous University food service outlets and a reserved parking space for their award month in the Parking Pavilion. Each monthly winner is also invited to the Senate Recognition luncheon in May to receive a certificate of appreciation. We congratulate our “winner” and all the other nominees for being recognized as “Magis” employees. We hope you will join the Staff Senate in recognizing and nominating employees to pay tribute to the magis that you see amongst your colleagues, and share our excitement for giving individuals the opportunity to be acknowledged for their outstanding efforts on behalf of our campus community. The nominations must be submitted by the 26th of the month for the next drawing to pick a winner. 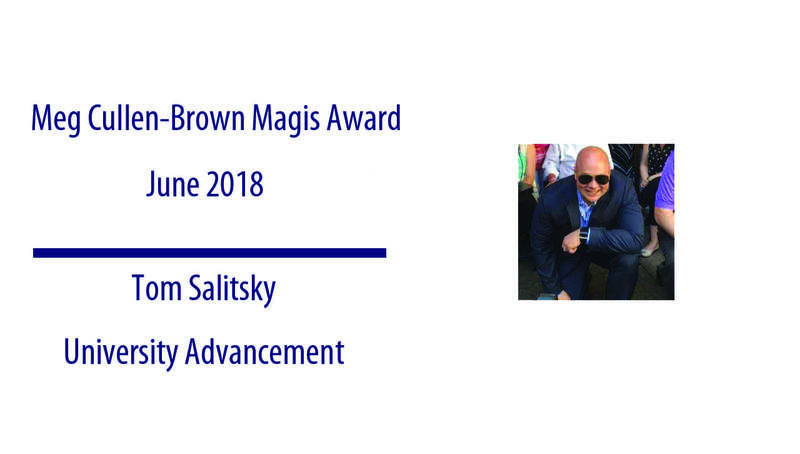 Magis Award recommendations can be made by completing the nomination card and forwarding it to Gina Butler (gina.butler@scranton.edu). You may also print it out and send to Gina in her office St. Thomas Hall 208B. 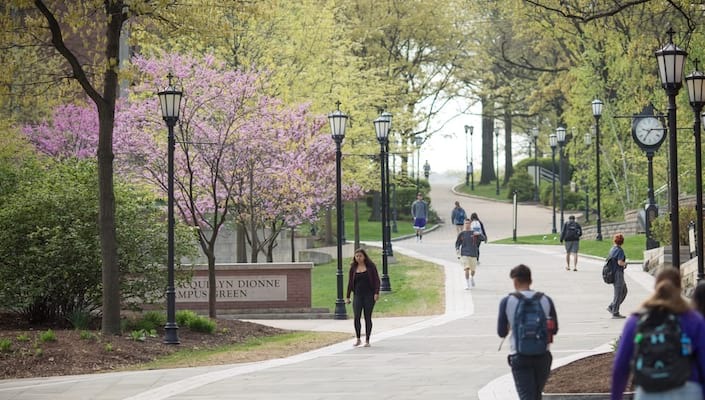 In addition, Meg Cullen-Brown Magis Award Nomination Cards will be available to Facilities Operations and University Police personnel through their supervisory chains of command.